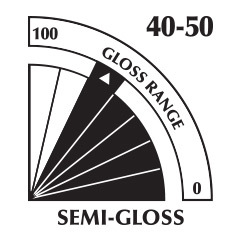 Selecting the right gloss for your paint project can be challenging. 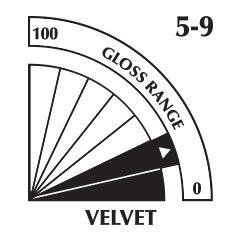 Below explains the practical and aesthetic considerations for choosing gloss that will help you make the right choices. Gloss is about shine. It describes how much light is reflected from the surface of the paint. If a painted surface is very smooth and glass-like, the reflection is perceived to be “shiny” or “glossy.” Conversely, a flat paint has a rough surface profile after it dries. Light that hits such a surface is reflected and scattered in many different directions so it appears “flat” to the eye. What Types Of Paint Glosses Are Best For Their Intended Use? 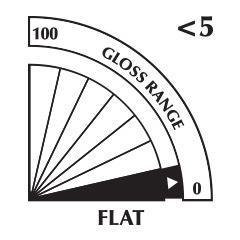 Flat paints have the least amount of gloss so they help conceal surface imperfections better than other finishes and are ideal for walls that are rough or dented. They also touch-up better, which makes a flat paint an ideal choice for family rooms, living rooms, dining rooms and bedrooms. Flat paints are also a good choice for ceilings because of their low reflectivity. Stains can be difficult to remove from flat finishes, so it’s best to use flat paints in areas that do not experience a lot of traffic. 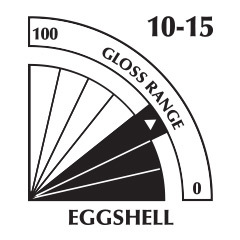 Eggshell paints are one step glossier than velvet paints. They convey a greater warmth and depth to surfaces than flat paints. Eggshell also tends to resist stains better than flat or velvet paint, although not as well as semi-gloss and high gloss paints. Like velvet paints, these paints are ideal for areas with traffic, such as dining rooms or a kid’s room. 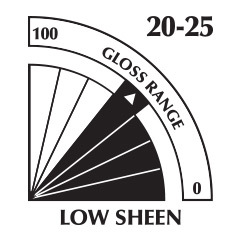 Low sheen paints are similar to eggshell paints, but have a slightly higher gloss. They are a good choice for areas where some gloss is desired, but good cleaning properties are also necessary, such as, kitchens, laundry rooms and bathrooms. Their slightly glossy appearance, however, tends to highlight surface imperfections more than flat paints. 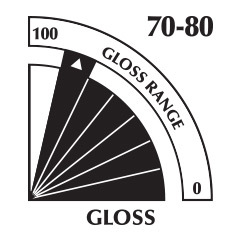 Gloss paints have a highly reflective appearance imparting a slick, contemporary look. They are tough, durable and stain-resistant. Gloss paints are easier to clean than lower gloss paints and are typically used in kitchens, bathrooms and on doors and cabinets exposed to fingerprints and grime. Because of its high reflection, gloss paint can highlight surface imperfections. 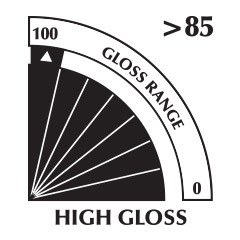 High gloss paints have the highest reflective appearance. They are the toughest, most durable and most stain resistant of all finishes. High gloss paints are the easiest to clean and are typically used on doors and cabinets exposed to dirt and oil and can also be used for trim and some woodwork. High gloss paint can emphasize surface imperfections.